For Recent Update, click here. 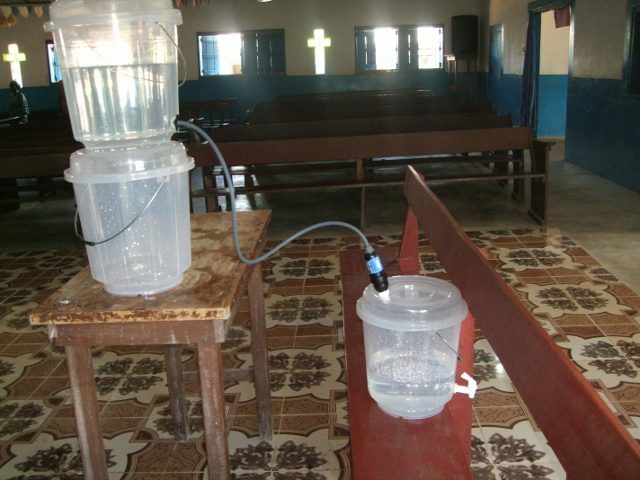 In 2015 a group of individuals from the Lake City United Methodist Church (Minnesota) became interested in providing clean water to Third World Countries. Much of the health problems in Third World countries, especially for children, can be attributed to the lack of clean water. In early 2016, under the leadership of the Missions Committee, close to $4000 was raised for Water4Life Project to purchase high tech filters for distribution to Third World Countries. 200 filters (www.sawyer.com/international) were purchased and sent to various countries with groups and individuals from several Minnesota churches. Countries included were Costa Rica, Kenya, Tanzania, Bolivia and Liberia. Each filter can provide clean drinking water, on a daily basis, for over 50 individuals. Therefore these filters are providing clean water for over 10,000 individuals that previously did not have clean water. For more information on the 2016 Water4Life Project, Click Here. The 2017 Clean Water Project – Liberia, is an outgrowth of the Water4 Life initiative. Liberia is one of the neediest and poorest countries in the World, with high infant mortality rates and 85% unemployment. 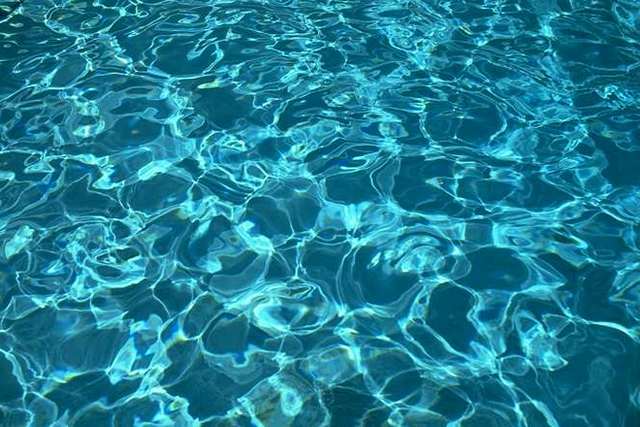 Availability of clean water is a major problem. Interest in focusing on Liberia stems from Darlene and Paavo Pyykkonen’s, previous experience as missionaries in Liberia, West Africa in the early 1970’s. In March of 2016 Paavo delivered 65 filters to Liberia and explored opportunities for an expanded Clean Water Ministry in Liberia. The result was that a plan was developed to purchase and deliver about 500 filters, distribute them in Liberia, and train the people in their proper use, during 2017. As the filters are distributed there will be opportunities to present the Gospel. With the blessing of the Missions Committee and the support of individuals locally and throughout the US, the project is underway with half of the 2017 budget being raised. The mission’s emphasis for LCUMC for the month of January 2017 will be to raise additional support for the Clean Water Project. Vincent Toh, is a 37 year-old man, will be coordinating the Liberia end of the project. He is the son of a couple who were students at the mission where Paavo and Darlene had worked. Vincent’s father is a pastor and will be assisting Vincent in this ministry. 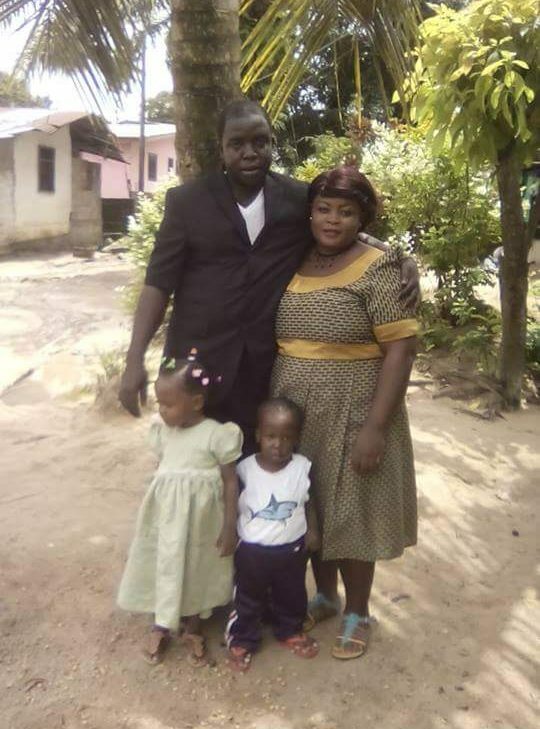 Vincent, and his wife Frances, have 3 children, and are raising two additional children. Vincent has had schooling and has worked in health and sanitation, including being part of a team that drilled wells to provide cleaner water during the Ebola epidemic that ravaged Liberia a few years ago. 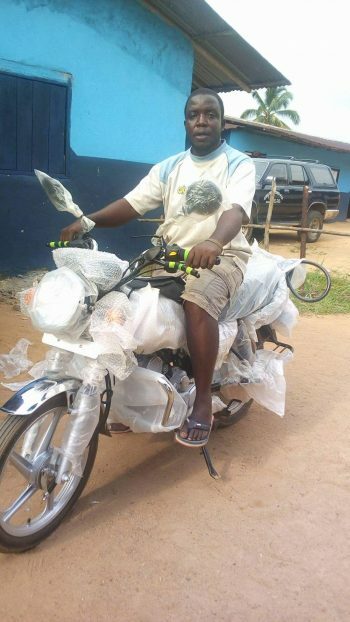 Money has been sent to Vincent to make it possible for him to purchase a motorcycle for travel and delivery of the filters. Arrangements are under way to send the first shipment of filters. Initial focus will be on Sinoe County, which has a population of 105,000 and is mainly rural. 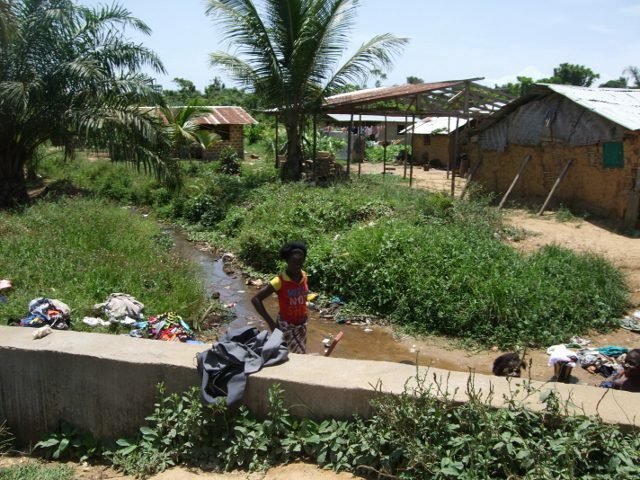 Sinoe County has the same health, clean water and economic challenges as the rest of Liberia. If you would like to give to support this mission, please make your check out to Lake City United Methodist Church and put "Clean Water Project-Liberia" on the Memo line. More info on Giving. Thank you for your prayers and financial support of Clean Water Ministry. It has made a difference in the lives of 1000's of Liberians. Just a brief update to wrap up 2017. The last shipment of filters are arriving in Monrovia this coming week. I am praying that all customs matters will go smoothly and they will be available for distribution soon. Vincent Toh has kept himself busy following up with filter recipients to make sure the filters are being used properly. He also teaches good health and sanitation practices. The new filters will keep him busy for a couple of months into the new year. We have enough carry-over from 2017 to cover operating expenses for two to three months. Subject to the availability of finances, the plan is to continue distributing filters in 2018 (500 more?) and expanding into neighboring counties. There is a possibility of sending filters with folks who are traveling to Liberia in February and July. Shipping by sea is always an alternative, but fraught with delays and risk of losses. My hope is to cover the $300 monthly operating expenses throughout 2018 and send as many filters as we have finances. Cost of buying and shipping filters is anticipated to be about $2,400 per 100 filters. Please prayerfully consider continuing you support of this Ministry. Enter "Clean Water Ministry" on the memo line. Vincent Toh has started following up on the filters that were distributed last March and retraining some of the recipients. I was glad to hear that most of the recipients were using the filters (see picture at right). We have provided funding for him to buy a motorcycle for transportation (see picture at far right). Sometimes the roads he traveled were pretty rough (see picture below). 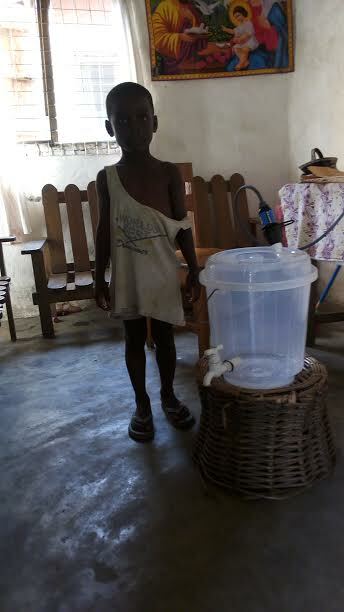 300 filters and spigots (faucets) have been purchased and they are on their way to Liberia. 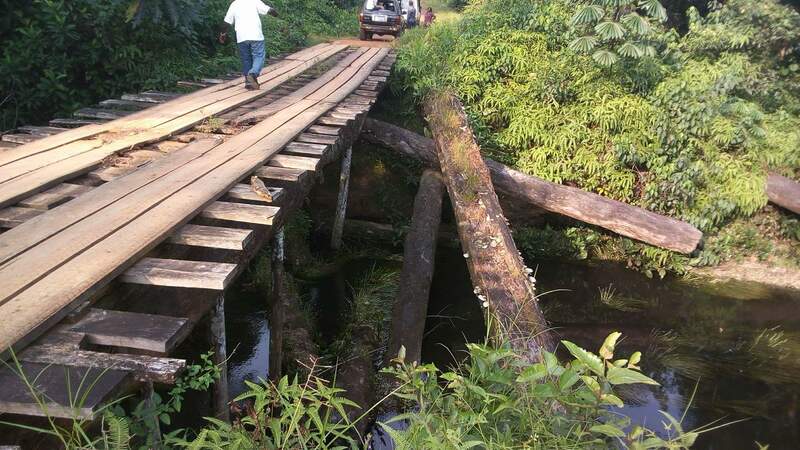 Some that are being taken by a mission’s team will reach Liberia March 4. Some will arrive by ship in April. The plan for the rest of the year is to send 200 more filters. The estimate is that the 500 filters will provide clean water to as many as 25,000 individuals. So far, approximately $9,500 has been raised, some from the Lake City UMC congregation and some from generous donors outside the church. The budget for all of 2017 is about $15,400. This is for the purchase and delivery of the 500 filters, the motorcycle, ongoing support for Vincent Toh ($150/mo) and other expenses. Thank you for prayers and financial support.